Vichy Essence Water Review (2018): Should You Buy This Product? What is Vichy Essence Water? Vichy is a brand established in 1931, with its skin care products heavily focused on delivering the nourishing benefits of the Vichy Thermal Spa found in France. The formula is claimed to be composed of at least 15 minerals that your skin badly needs to heal and become renewed. Vichy is a brand that is owned and managed by the global skin care industry giant, L’Oreal Group of Companies. Vichy Aqualia Thermal Boosting Essence Water, US $29.95 for a 200 ml bottle, is an essence that contains a highly concentrated blend of beneficial skin ingredients that preps your skin to receive optimal treatment from other products in your routine. Vichy Essence Water- Does it really work? 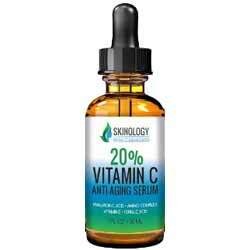 Boosts the power of your serums and creams to repair, rejuvenate and regenerate your skin. Helps restore your skin’s optimal moisture and nutrition levels. This product works by delivering significant amounts of nutrients to restore your skin’s health, from which beautiful skin naturally follows. What are the ingredients in Vichy Essence Water? Thermal Spa Water: Touted to consist of 15 minerals that your skin needs to facilitate faster healing, rejuvenation and renewal, by providing the nutrition your skin needs to function better and to regain its optimal health level. 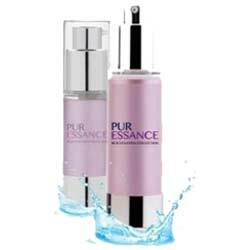 Hyaluronic Acid: Attracts moisture from the surroundings, this ingredient absorb moisture, flaunts it on the surface of your skin and gradually releases these to keep your skin comfortably hydrated for long hours. Aquabioryl: Supports the restoration of your skin’s surface layer, refortifying it and making it thicker to better withstand future damage and aging. Vichy Aqualia Thermal Boosting Essence Water must be applied on your skin day and night after cleansing and toning. Based on observations derived from a consumer survey of 85 Chinese women, all claiming to have sensitive skin, and 4 weeks of regular product use, 9 out of 10 study subjects said that they felt that they were getting more from the products in their routine. The formula does contain parabens which can disrupt normal hormone levels and endocrine functions. This product contains denatured alcohol, which happens to be one of the worst ingredients that you can allow anywhere near your skin. 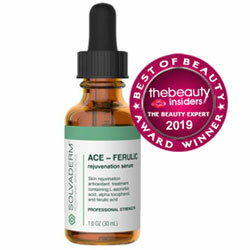 Vichy Aqualia Thermal Boosting Essence Water reviews indicate that users are divided as to the beneficial impacts that can be derived from this solution, many say that it does not make any difference. This may not be for everyone since some people react negatively to it, developing irritation and/or acne. Does Vichy Essence Water have any Side Effects? Skin irritations and allergic reactions due to several ingredients, including butylene glycol, denatured alcohol, fragrance ingredients, and artificial dyes, all of which can cause irreversible damages to your skin. Increased risk for nerve and brain damage due to phenoxyethanol, a neurotoxin added as a preservative. Increased risk for various forms of cancers due to PEGs, chemicals that enhance the absorbability of beneficial ingredients, except that it also carries with it all the toxins, including 1,4 dioxane, a confirmed carcinogen, deep into your skin. 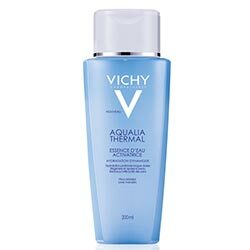 Vichy Aqualia Thermal Boosting Essence Water is one like many other skin care products who bother about what other innovative ingredient to offer, in this case the Vichy Thermal Spa Water. Products such as this, however, dismally include the basic no-no’s when it comes to skin care, that includes drying alcohols, fragrances and artificial dyes.